On the feast of the Presentation of Our Lady, we celebrate the fact that Our Lady’s parents brought her to the Temple at the age of three and handed her over to live there for a long period as a consecrated virgin where she might exclusively contemplate God. There is a special beauty to this feast since it highlights the fact that Our Lady was chosen even before time began. She is called the root of Jesse (Isaiah, 11:1) from which Our Lord Jesus Christ would be born. She is introduced to the synagogue, the institution in charge of keeping this promise. 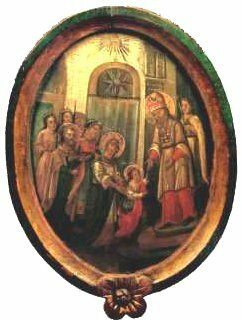 Thus, the synagogue receives Our Lady as a first step. In this act, the hopes of ages would soon be fulfilled. Our Lady, a supremely holy soul, is received in the Temple and entered into the service of God. Despite the corruption of the nation of Israel and the transformation of the Temple into a den of the Pharisees, an incomparable light appeared: the sanctity of Our Lady. Mary in the Temple at Jerusalem. for the imminent coming of the Messias and asked God if she might have the honor to be the servant of His Mother. She did not know that she was the one chosen for this honor. That is why she was perplexed when the Archangel Gabriel greeted her to ask her permission for the Incarnation. 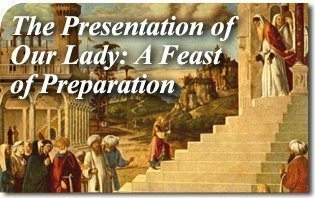 Our Lady’s magnificent preparation to be the Mother of Jesus Christ began with her Presentation at the Temple, a feast the Church celebrates on November 21. 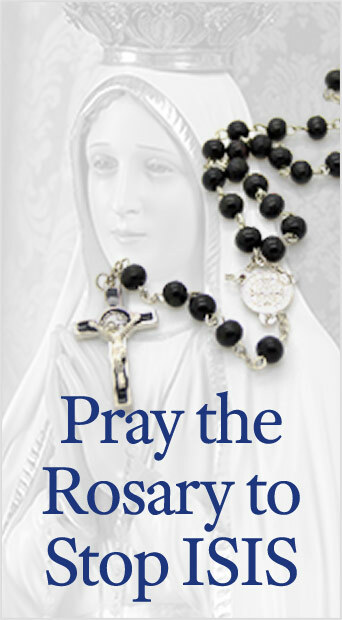 It is fitting that we ask Our Lady to prepare us with the best of Catholic doctrine to serve God by serving her. We should present ourselves before Our Lady, asking her to assist us in taking up the task of our sanctification, as the Holy Ghost did with her at the Temple of Jerusalem. The preceding article is taken from an informal lecture Professor Plinio Corrêa de Oliveira gave on the feast of The Presentation of the Blessed Virgin Mary — November 21, 1965. It has been translated and adapted for publication without his revision. –Ed. This entry was posted in About Our Lady and tagged Blessed Virgin Mary, Catholic, coming, doctrine, God, Holy Ghost, Israel, Jerusalem, Jesse, Messias, Mother, Our Lady, Our Lord Jesus Christ, Presentation, Presentation in the Temple, sanctification, synagogue, temple by Plinio Corrêa de Oliveira. Bookmark the permalink. Is It Going To Be Boring?